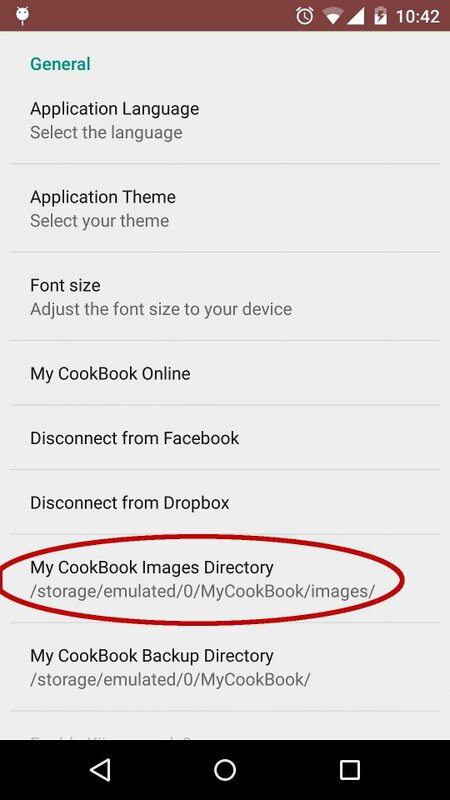 If your internal memory is full, you will need to change this path, and move your photos to your external SD card if you have one. 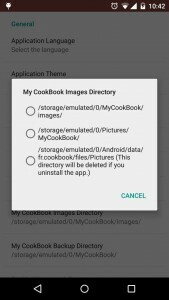 Starting Android 4.4, applications are not allowed anymore to write in any directory on external SD cards. But applications can write data to some specific directories. 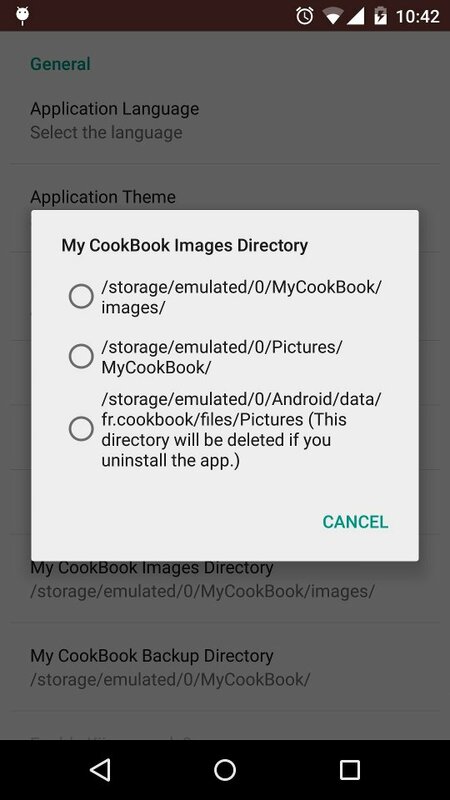 Be careful, some directories (…/Android/data/fr.cookbook/…) are deleted if you uninstall the android app. 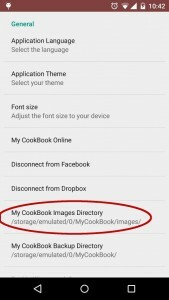 Your images will be lost if you don’t backup them. 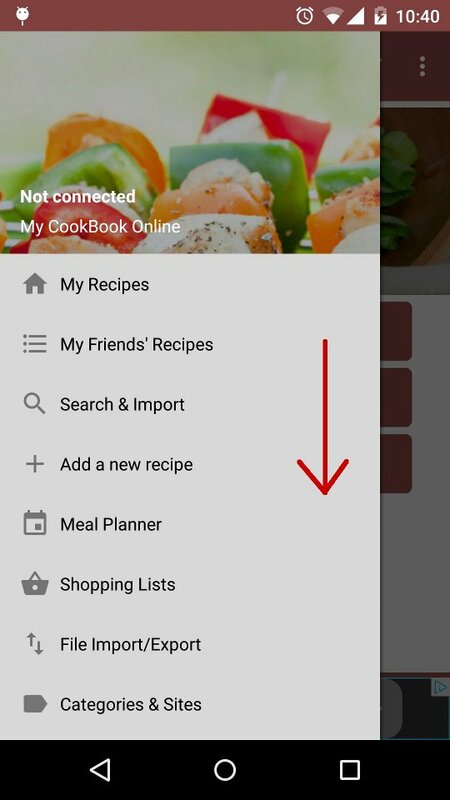 I changed phones and my recipes are not in my cookbook pro, how do I retrieve them? I can not even find a way in the mobile app to enter my info. 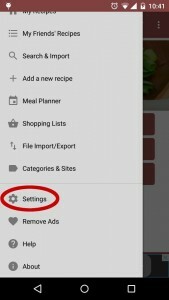 Why can not ore than one photo be uploaded per recipe? 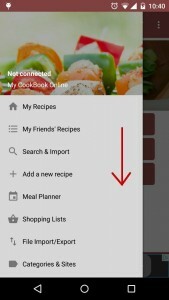 What about recipes that illustrate different steps by photo?